The wise biblical King Solomon wrote, “There is nothing new under the sun” (Ecclesiastes 1:9). Researcher Rick Grunder has provided a great latter-day example of “What has been is what will be.” In his massive work, Mormon Parallels: A Bibliographic Source, Mr. Grunder provides readers with an interesting look at names found in the Book of Mormon and a parallel source that could have aided Joseph Smith as he wrote it. In 1732 John Walker was born in England. As an adult, Mr. Walker was known as an “actor, elocutionist and lexicographer,” teaching and lecturing on elocution. 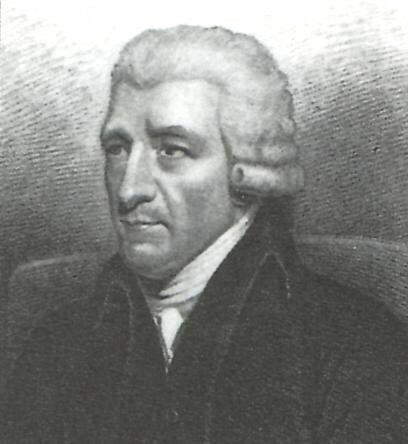 In 1791 he published his Critical Pronouncing Dictionary in London. This work was reprinted in many editions and abridgements, one of which was advertised in the Palmyra (New York) Herald on September 24, 1823, and another suggested for inclusion in the curriculum for Colesville, New York schools in 1826 (in Joseph Smith’s neighborhood). “I have selected the following list of names and terms which I find similar to, resonant with, or identical to Book of Mormon names. On page 79 alone appear not only the three eldest male members of the leading Book of Mormon family (Lehi, ‘Lah’man’ and Lemuel), but the Book’s first villain as well (Laban), plus two notable Master Mahan/secret combination protagonists in Joseph Smith’s 1830 Book of Moses (chapter 5): Lamech and Irad. Walker’s Key also provides the unusual reference to the Apocryphal name Nephi, p. 81. Of additional interest is a pronunciation rule to which ‘Ne´ phi’ is here referenced, showing the same pronunciation that is used by Mormons today. Along with King Solomon we affirm that there is nothing new under the sun. 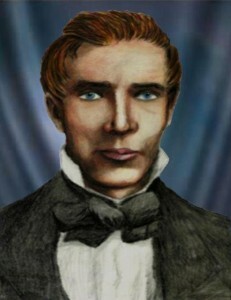 Joseph Smith did not need to create 300 new and unique proper names to fill out the Book of Mormon; many sources were available to him to draw from as he composed the book. ‘To consider that everything of saving significance in the Church stands or falls on the truthfulness of the Book of Mormon and, by implication, the Prophet Joseph Smith’s account of how it came forth is as sobering as it is true. It is a “sudden death” proposition. Either the Book of Mormon is what the Prophet Joseph said it is, or this Church and its founder are false, a deception from the first instance onward. May we all cease striving after wind and instead find life in Jesus, the very bread of God. This entry was posted in Book of Mormon, Joseph Smith, Mormon Scripture and tagged Book of Mormon, Church of Jesus Christ of Latter-day Saints, Jeffrey Holland, John Walker, Joseph Smith, Mormon Church. Bookmark the permalink. That is interesting speculation, and I’m sure that the official unofficial apologetic response will be a divide and conquer tactic of saying that this falls under the logical fallacy that just because something could have happened a certain way necessitates that it did happen that way, while at the same time ignoring the History of the Great War that was also part of his school’s curriculum. This is their common approach of tackling individual parts of the machine individually with different standards than another part, while ignoring the machine as a whole. I will probably stand alone here and say that I do not believe that the History if the Great War was a source used for the BoM, because the one thing that the Great War, the BoM, and even the Book of Napoleon have in common is that they all plagiarize the KJV chronically without reservation, so it would stand to reason that the word studies between these plagiarized works would be highly comparable. I believe that the Great War was rather a spark for the idea of the BoM, but since Joe did read it, ideas within the book did creep in to the BoM. This possible source on proper name in the BoM is quite compelling, but what I think would be the smoking gun would be to find an undisputed occurrence/source for Zarahemla. Until then it will remain speculation, although highly probable speculation considering the time and place of the work. The circumstantial evidence is piling up against Smith’s creation of the BoM. I remember several pieces written here about how he had access to information and trends to give him the tools to create a work of fiction that resembles the Biblical narrative and style. We will never be able to fully prove it, I suspect, but the circumstantial evidence is quite strong. view that is greatly stretching the truth . who Smith mentored and who led the church after his death , like Brigham Young etc .